There is only one physically possible process that builds and operates purposive systems in nature: natural selection. What it does is build and operate systems that look to us purposive, goal directed, teleological. There really are not any purposes in nature and no purposive processes ether. It is just one vast network of linked causal chains. Darwinian natural selection is the only process that could produce the appearance of purpose. That is why natural selection must have built and must continually shape the intentional causes of purposive behavior. Fodor’s argument against Darwinian theory involves a biologist’s modus tollens which is a cognitive scientist’s modus ponens. Assuming his argument is valid, the right conclusion is not that Darwin’s theory is mistaken but that Fodor’s and any other non-Darwinian approaches to the mind are wrong. 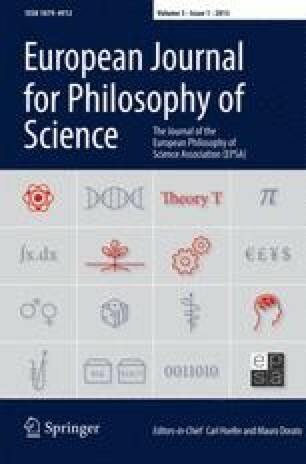 It shows how getting things wrong in the philosophy of biology leads to mistaken conclusions with the potential to damage the acceptance of a theory with harmful consequences for human well-being. Fodor has shown that the real consequence of rejecting a Darwinian approach to the mind is to reject a Darwinian theory of phylogenetic evolution. This forces us to take seriously a notion that otherwise would not have much of a chance: that when it comes to the nature of mental states, indeterminacy rules. This is an insight that should have the most beneficial impact on freeing cognitive neuroscience from demands on the adequacy of its theories that it could never meet. Thanks to Elliot Sober, Robert Brandon, Mohan Matthen, Karen Neander, Alan Love, Fred Dretske and two referees of this journal for comments on a previous draft.